Howth/Sutton Peninsula has spectacular views of heathland, magnificent sea and sky views and spectacular sunsets. It is also steeped in history from the earliest settlements 4,000 years ago right down through the middle ages and to the present day. Howth/Sutton Lions Club were very conscious of this cultural heritage and fearing that artifacts and relics of past local history and events passed down by word of mouth from generation to generation could be lost forever in the hustle and bustle of modern life, felt that steps should be taken to preserve this heritage for future generations. It was decided that if the Martello Tower located on Tower Hill, one of the most prominent landmarks in Howth, was renovated, it could at some time in the future become home to a local Heritage Society. The first step in the process was to set up the Society. John Rudd was asked if he would become chairman designate, and Sean O'Brien was asked if he would act as Treasurer. Their brief was to call a meeting and elect a committee. This had the support of Fingal County Council who had undertaken to renovate the Martello tower on foot of a grant from Howth/Sutton Lions Club. 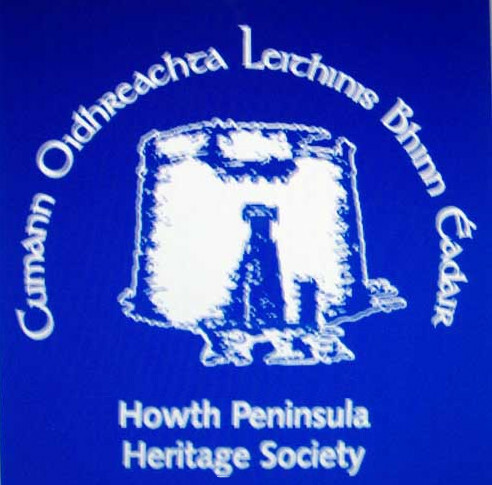 The first meeting was held in Howth Lodge Hotel (formerly the Claremount Hotel) in October 1995, and the Howth Peninsula Heritage Society was born. The refurbishment of the Martello tower on Tower Hill was completed in 2001 and since 2003, the tower has been home to Ye Olde Hurdy Gurdy Museum of Vintage Radio, a museum dedicated to radio/telecommunication history and its role in Irish history.